Babies and meditation, say what??? No way! YES way!! You CAN meditate with your kids in tow. Join Kimberly Alvarado for a hands-on workshop to learn tools and practice meditations with our children that will help us become more relaxed, present, and in the moment with our kids and ourselves. Do you worry about your child's next move? How about when you’re not sure you're doing the "right thing" or wondering "what's up" with your child? Are you yourself afraid to make a move lest a chain reaction begin? (Do your shoulders rise up, necks stiffen, faces scrunch, and stomachs tighten during these moments?) Does your body ache from built up muscle tension? These responses can be mediated through Mindfulness Meditation, a technique that will help you meet your child in the moment, keep your body relaxed, and help you shift to a state of relaxed awareness. 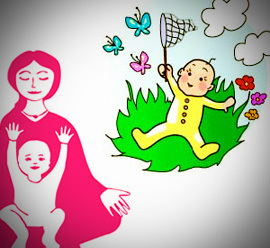 Bring children ages newborns to young toddlers (18 months). Kimberly Alvarado is a mother of a two-year old, mindfulness meditation practitioner and 560-hour certified yoga teacher. She discovered this particular mindfulness practice by accident while trying to get some down time from mothering one day. Never had a massage at Shakti? and QiGong, Reflexology and Acupressure (Debra Bernath). Prices do not include 7% Sales Tax. 3 Massages cannot be shared. Offer must be purchased by August 30, 2014. Massages must be used in 6 months. Please contact Anna or Debra directly to purchase and schedule. Tulku Lobsang is a man that truly bridges worlds. As a Buddhist Tantrayana master, doctor of Tibetan medicine and astrology, and founder of Nangten Menlang BuddhistMedical Organization, he travels throughout the world sharing the Tibetan healing wisdom and methods. Tulku Lobsang’s specialty is in working with the Tantrayana methods that use the refinement of the body’s energetic system to develop on the spiritual path. Tibetan Buddhism contains many movement practices that work directly with the subtle body, releasing blockages and restoring the flow of inner energies. These methods not only improve physical health, but also enable the mind to achieve great realizations. And for those that simply seek greater health and happiness in this modern world, Tulku Lobsang’s teachings on Lu Jong Tibetan Yoga, the power of love, and mindfulness are invaluable. Tulku Lobsang skillfully brings the ancient teachings into modern application, accessible for people of all backgrounds. His traditional background and charismatic, straightforward style make him a phenomenal teacher and transmitter of great wisdom. Born in Amdo, Tibet, he was recognized as the 8th incarnation of the Nyentse Lama and was enthroned as a tulku at age 13, receiving the traditional, intensive training. Today, his charismatic and direct teaching style has enabled him to touch the hearts of many. His organization Nangten Menlang, based in Vienna and Barcelona with branches in 11 other countries, offers retreats, certifications, books, and DVDs to spread the Tibetan Buddhist healing wisdom. For more information: www.tulkulobsang.org or www.youtube.com/TulkuLobsang or www.lujong.org. Do you suffer from thyroid disease or autoimmune thyroid disease? These diseases are occurring at alarming rates. Both women and men go for years not knowing why they feel exhausted, why they're gaining weight, feeling depressed, etc. And even when they find out they have a thyroid problem that's just the beginning to a long road to recovery. I know from personal experience how little is known about managing thyroid disease, and many people suffer in silence after years of trial and error with different medications that just don't seem to help them feel well. Join Maria Tabone on discussing and analyzing this puzzling disease. Learn from her personal experience and professional knowledge. If you choose to share your journey, let Maria be your guide on your path to health. 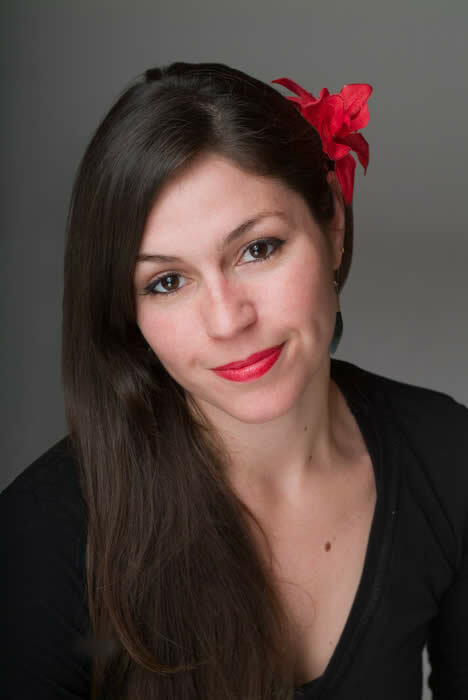 Maria Tabone, MA,is a Holistic Health Educator,Ayurveda Nutritionist, Clinical Aromatherapist, Healing Foods Chef, Registered Yoga Teacher and Author. She has spent over 20 years studying alternative medicine and the mind/body/spirit connection. She has a Master’s Degree in Integrative Health and Healing, a certification in Plant Based Nutrition from Cornell University, and has certifications in various healing practices such as Clinical Aromatherapy, Herbalism, Reflexology, Reiki and Chakra Balancing. She is also a Healing Foods Chef, has studied at the Institute of Culinary Education and the Natural Gourmet Institute. Maria’s first book entitled, "The Holistic Root to Managing Anxiety" is for sale on Amazon and Barnes and Noble.com. Maria is a member of The American Association of Drugless Practitioners, The American Herbalists Guild, The National Association for Holistic Aromatherapy and The Health & Wellness Professionals Network. Imagine what the world would look like if we all conquered our anger. Anger is one of the most common reactions to unhappiness. Learn to transform your anger. 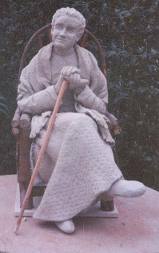 Prem Sadasivananda (formerly known as Swami Sadasivananda) is a direct and long-term disciple of Swami Vishnudevananda, who in the 1950s was sent to teach yoga in the west by his master, the renowned Swami Sivananda of Rishikesh, India. Prem's spiritual journey began in service as a sannyasin (monk) for 24 years in the Sivananda Organization where he was the director of the New York City and London centers. He taught extensively during Yoga Teacher Training and Advanced Yoga Teacher Training at Sivananda ashrams worldwide. Through his teachings of yoga and Vedanta, Prem continues his service by helping others in their spiritual pursuits. Bridging his unique experience as a sannyasin and now committed teacher on his own, he is able to truly give a loving and gentle perspective for spiritual aspirants who want a deeper purpose in life. Prem is well-known for his depth of knowledge of yoga psychology, meditation, positive thinking and life coaching, Vedanta philosophy, and Sanskrit and Hindu scriptures. His satsangs and kirtan are uplifting, and his unique style of teaching is accessible, clear and humorous. 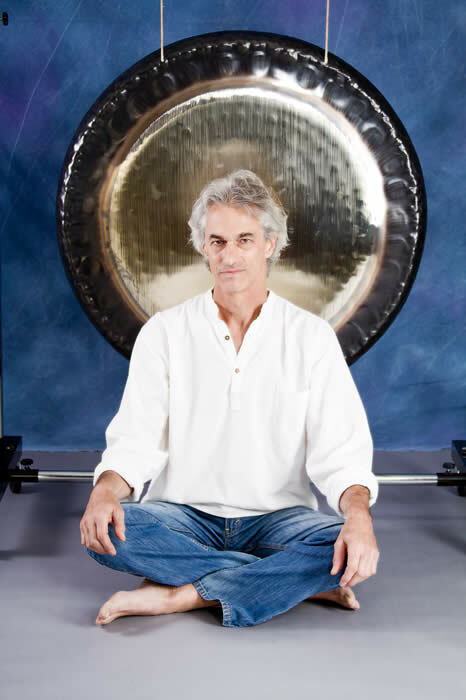 A gong meditation is a sonic invitation to connect our world with the larger world and offers a moment to experience a greater sense of place in our cosmic home ... a cosmos that at its core is a harmonic and musical universe. The Planetary gongs represent a natural harmonic series based on the orbital properties of the Sun, the Earth, the Moon and the other planets. Planet Gongs resonate harmonically with the cycles of the cosmos, communicating to us the Music of the Spheres. When sounded, we physically connect to their strength and power. The gongs resonate at a primal, archetypal level. These beautifully crafted gongs are therapeutic works of art and alchemy and strike a resonance deep within us, drawing forth our own music. They are here to remind us that we are a microcosm reflecting and resonating with the macrocosm. All of their rich and beautiful tones reside within us and can draw us into a deep sense of peace, touching the most profound part of ourselves. Maren Good is a sound healing practitioner, educator and aromatherapist and has been creating in these fields for 15 years. Michael Ungar is a jazz musician, composer and audio engineer and, along with his partners, owns and runs Sandblast Productions, a recording studio in NYC. 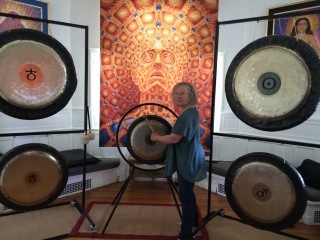 Maren and Michael have been offering gong meditations for over 8 years, bringing the power of the Paiste Planetary gongs to the community ~ joyfully. Begin the practice you've always wanted or commit to deepening your existing practice. Great for BRAND NEW BEGINNERS and practitioners looking to firm the foundation of their practice. In each session, we'll stretch, strengthen and move, applying a weekly foundational theme. A correct approach to one’s weaknesses is the key to growth. Learn how to make your mind your best friend. Did you know that the hips are home to the Second Chakra? 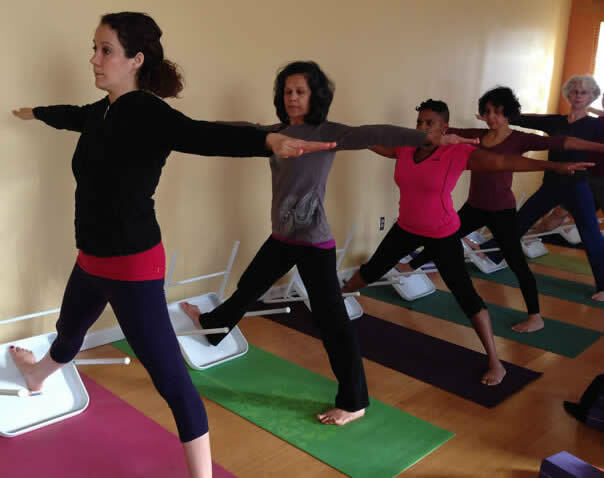 Anita‘s curiosity about yoga lead her to her first class at Studio Yoga in Madison. “ I felt I was connected and home after the first class.” That was over ten years ago. In 2006 she received her 300 hr certification from American Yoga Academy under Clair Diab and has been teaching ever since. She appreciates the clarity, openness, and understanding she has gained from practicing and teaching. Since 2008 she has been studying in the Iyengar tradition under Theresa Rowland and attends workshops with Sri Arun, Kofi Busia, Lois Steinberg and others. Her classes focus on alignment, encouraging each student to connect with their unique potential on their journey. Do you find yourself worrying constantly? Are these concerns causing panic attacks, phobias, trembling, muscular aches, insomnia, abdominal upsets, dizziness, and irritability? Maria Tabone is the author of “The Holistic Root to Managing Anxiety” and she will give you the tools to manage your anxiety without costly, traditional medication. Chakra meditations are simple, yet powerful techniques for helping you to develop inner poise and keep your life in balance. How smoothly your chakras function influences how fully you inhabit your physical body, the success of your relationships, and how much inner peace you are able to enjoy. With regular practice these meditations can help you to tap into your vast potential reservoir of psycho-spiritual energy. Swami Saradananda presents you with a down-to-earth approach to inner peace. Many of the exercises are aimed at eliminating the negative emotional behavior associated with each of the chakras. Swami Saradananda is an internationally-renowned yoga and meditation teacher whose gift is her ability to inspire you to want to practice. She has authored a number of books, including "Yoga Mind and Body" (Anna Winkler modeled for this one!) 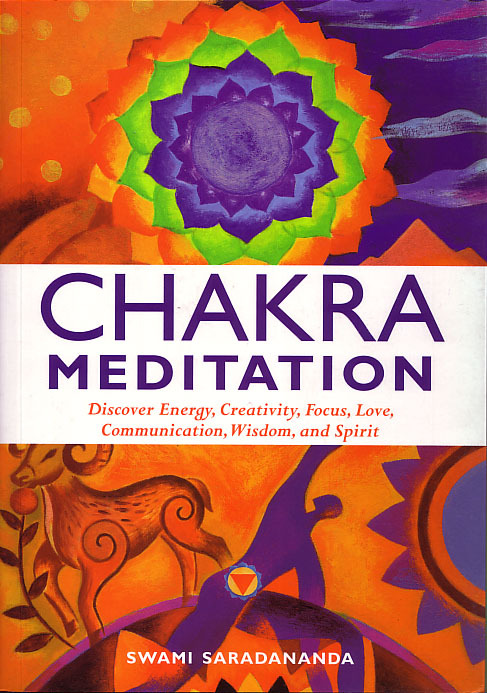 , "Relax and Unwind with Yoga", "Chakra Meditation", "The Power of Breath" and "The Essential Guide toChakras". She is currently working on a book entitled “Mudras for Modern Life” that is scheduled to be published in May 2015. Swami Saradananda worked with the Sivananda Yoga Centers for thirty years as senior teacher and spiritual head of the facilities in New York, London and Delhi. After returning from an extended period of personal practice in the Himalayas, she is now based in London and travels extensively. Nia is a sensory-based movement practice that draws from martial arts, dance arts and healing arts. Classes are taken barefoot to invigorating, soul-stirring music and designed to make it easy for Every-Body to step right in at any age, level or experience. Nia will give students a cardiovascular workout, increase mobility, agility, flexibility and strength. Courtney has been practicing yoga since 2000. Her practice has become more rigorous in the last 3 years primarily as a way to de-stress, stay active, and maintain balance in her body. Yoga has given her all of these things and sense of community. She completed her 200 hour teacher training at Shakti Body with Anna Winkler and Deb Kurilla in April 2013. Courtney is a chiropractor by day and has an extensive background in anatomy, physiology, and biomechanics. She is passionate about the study of human movement. It is this passion that lured her to become a teacher. Everyone knows that yoga improves flexibility but what drew Courtney to yoga is the incredible strength it builds. It builds strength in the physical body but also in the mind. 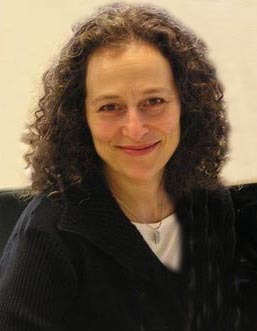 Jessica Elizabeth Heller MPS, ATR-BC, RYT is a 200-Hour RYT with Yoga Alliance. She completed her teacher training at the Shiva Shanti Yoga School in Rutherford, which incorporates the philosophies and practices of several lineages including Jivamukti, Ashtanga, and the Bihar School of Yoga. Jessica is highly interested in the healing arts and aims to provide a space in her class that will encourage integration of mind, body and spirit through vinyasa, breath work and meditation, as well as spiritual and philosophical discussion. The physical aspects of the class (asana) will highlight proper alignment and will be safely modified for students of various levels. Additionally, Jessica received her Masters of Professional Studies in Art Therapy at the School of Visual Arts in Manhattan and currently practices as a board-certified Art Therapist in New Jersey. Shehnaz first came to her mat about ten years back primarily to gain flexibility. 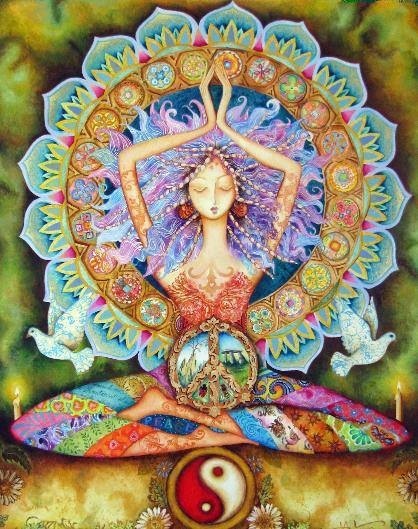 The physical, mental, and spiritual aspects of yoga gave her a sense of peace and calm. Always interested in learning more about the myriad benefits of yoga, Shehnaz recently graduated from SHAKTIBODY’s 200 hour teacher training program. As a learning consultant, Shehnaz believes an educator’s wellness of mind, body, and spirit is paramount to enhance one’s professional practice that in turn benefits all students. She feels privileged to share her love of yoga with them and the community. Lena is a Black Belt Nia Instructor and for the past 8 years Nia has been her primary movement form of choice. She has taught adults and children in dance and exercise (jazz, ballet, low-impact aerobics) for over 25 years in Sweden and the US. She received her formal training at The Academy of Ballet in Stockholm, Sweden. Lena has always been passionate about teaching movement and believes she can make it fun, as well as safe and effective. She finds it exhilarating to see her students reach their fitness goals; become more mobile, flexible and aware of how movement can enhance their overall well-being ~ physically, spiritually and emotionally. She finds joy and pleasure in sharing with the world what she loves to do: Moving to Music. A 6-week Weight Loss and Wellness Program based on the principles of Traditional Chinese Medicine (TCM); one of the oldest holistic systems in the world. TCM treats the WHOLE person - body, mind & spirit. Working with “Qi" - your life force - and your own innate healing ability ~ bring your body back into balance and harmony. Suitable for anyone, young, old, male or female, who is serious about getting well and staying well. Erica was first introduced to yoga at Sarah Lawrence College while studying Studio Arts and Art History. Yoga resurfaced in her life at a local gym after the birth of her second child and she has been practicing ever since. Erica received her Yoga Certification through Claire Diab and the American Yoga Academy in 2004 and is registered with Yoga Alliance. Since then she has done teacher trainings at Karma Kids Yoga in NYC and Holistic Prenatal Yoga Teacher Training with Kelli DeFlora of Wise Woman Birthways. Yoga with the Chair ...back by Popular Demand! A fun and challenging way to discover and explore deeper aspects of traditional yoga poses. Yoga with a chair is for recreating, recharging, and restoring! Learn how practicing WITH a chair can help you understand the shape and direction of your poses in a whole new way. For beginners (at least 6 months practice please), seasoned practitioners and teachers alike. authentic and full of Soul, this is the course for you! Feel happier, healthier and more attractive to the love you yearn for in a matter of weeks? Melt away hidden patterns that sabotage your fulfillment? 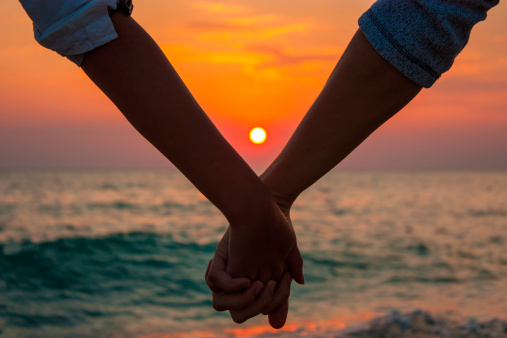 Know the secret to being irresistibly attractive and what it takes to enjoy healthy, satisfying relationships without being manipulative or fake? This 6-week program is for women of all ages and lifestyles, single or attached, who are ready to step into powerful love connections that celebrate their uniqueness and strengths. Unlock your inner magnet, make yourself more soul-fully desirable and transform the quality of your love life forever. This course is designed to put dynamite under your LOVE life! Denise Rizvi is a Doctor of Naturopathy, Meditation Teacher and Soulful Life Coach. She offers workshops and private sessions on Taking Charge of Your Life through a unique cognitive re-patterning process at Shakti Yoga. She is board certified with the American Association of Drugless Practitioners. She completed a two year intensive program with Alberto Villoldo, PhD. & The Four Winds Society’s Healing The Light Body™ in Inka Shamanic Energy Healing. 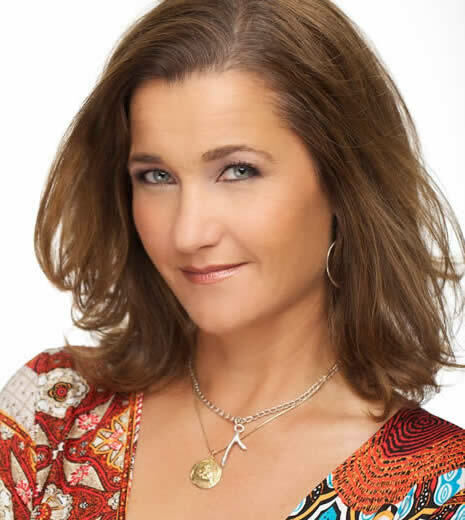 She is certified through Vianna Stibal’s Natures Path in Theta™ Core Belief healing, DNA 1 & 2. Please visit her website and blog at www.DeniseRizvi.com. Class begins with a gentle warm-up of each body part, awakening the possibilities of movement from the fingers to the toes. We will use different modalities to initiate movement and expression, through guided imagery, directed use of body mechanics, silence and carefully selected music choices. We will explore uninhibited movement that originates from an intuitive, primal, subconscious level. Discover new ways of using your body to express different states of being. Heather Harrington began as a competitor ice skater and professional modern dancer. She has danced with the Martha Graham Ensemble, Bella Lewitzky Dance Company, and she had her own modern dance company, Heather Harrington Dance Company, for 7 years in NYC. She is currently an adjunct professor of modern dance and theory at Kean University and she is a Pilates teacher in Maplewood. Orest received his degree of Oriental Medical Doctor in 1986 from the California Acupuncture College subsequent to his 1985 Masters Degree from Tri-State College of Acupuncture. He holds a BA in Psychology from Rutgers University and is nationally certified in Acupuncture and Chinese Herbal Medicine. He completed post-doctoral studies at Kyong Hee Medical University, Korea. 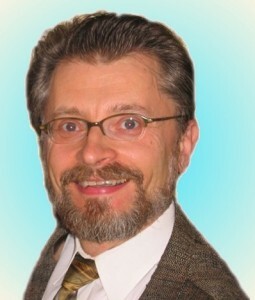 Orest is a lifelong student of various healing systems including Tibetan Ayuveda, Essential Oil Therapeutics, Homeopathy, and energy healing techniques such as Pranic Healing, QiGong, and various forms of Reiki. Orest offers his integrative holistic medicine services in both Springfield, NJ (www.HealAndRenew.com) and at the Healing and Retreat Center he founded in Benson, VT (www.OldKingFarm.org). He and his wife Susan are Young Living Platinum members. 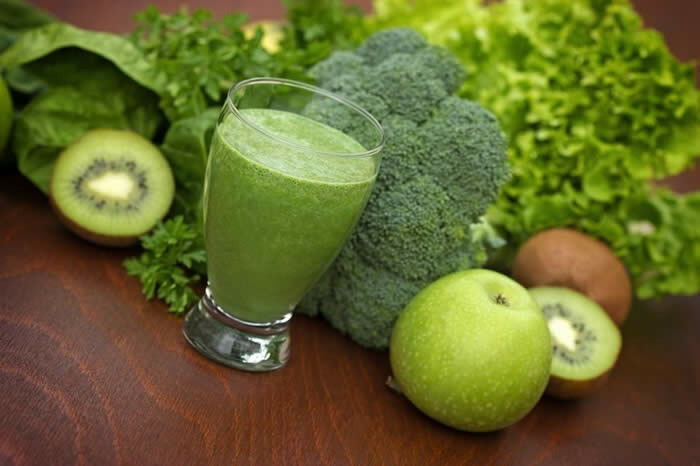 Do you want to lose weight, experience more peace, happiness and energy, or just feel better? Ayurveda, a 5000 year old system of natural healing from India (the oldest on the planet), will help you achieve and maintain good health, peace and greater happiness. Let Maria be your guide on this path to health. 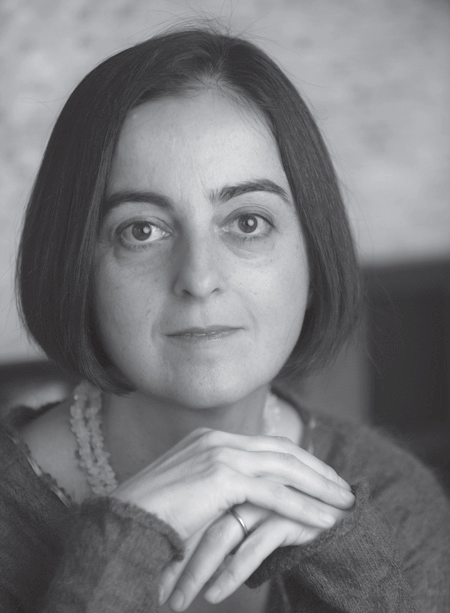 Maria Tabone is a Holistic Health Educator, Ayurveda Nutritionist, Clinical Aromatherapist, Healing Foods Chef, Registered Yoga Teacher and Author. She has spent over 20 years studying alternative medicine and the mind/body/spirit connection. She has a Master’s Degree in Integrative Health and Healing, a certification in Plant Based Nutrition from Cornell University, and has certifications in various healing practices such as Clinical Aromatherapy, Herbalism, Reflexology, Reiki and Chakra Balancing. She is also a Healing Foods chef, has studied at the Institute of Culinary Education and the Natural Gourmet Institute. 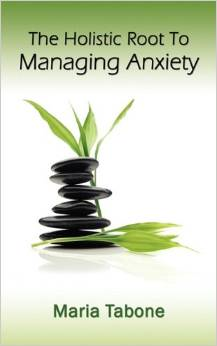 Maria’s first book entitled, "The Holistic Root to Managing Anxiety" is for sale on Amazon and Barnes and Noble.com. A mid-day, mid-week recharge. Take a break from work or other responsibilities to realign your body, mind and soul. Focusing on all your parts, from head to toe, this class will bring more energy, flexibility and FUN into your day. You will leave feeling refreshed and renewed, ready to enjoy the rest of your day AND week. Each class will conclude with a short meditation. What dreams would you like to manifest in 2014? Take Charge of the Life you Have, so You can Live the Life you Love! Start this New Year learning to release negative and limiting programming, master your own thinking and attract the life you would love to live. Each week you will be given simple, yet highly effective tools that will increase the speed and ease with which you create the results you desire. Discover a fulfilling, meaningful career? Have a wonderful relationship come into your life? Or deepen the one you have? Look and feel your very best? Discover your talents and gifts? Become empowered to make a real difference for good in the world? In this 6 week workshop you will learn leading edge practices for how to apply mind management, meditation and life coaching for achieving extraordinary results. one dream, one thought, one breath at a time! Please bring a journal and pen to class. Cost: $115 without oils (we will provide), $100 with oils (you bring yours) ~ Preregistration Required. Bring: 2 Sheets, 2 bath towels, 1 hand towel, a massage table if you have one (we need 1 table for 2 people), water to drink, wear comfortable clothing that you don't mind if you get oils on. Please DO NOT wear any jewelry. We are not responsible for lost jewelry. 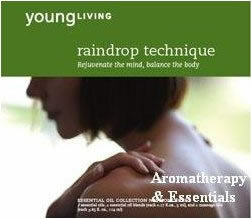 The Raindrop Technique is a form of body work where therapeutic grade essential oils are dropped like raindrops along the back to help restore the body’s ability to heal fully. You don’t need to be a massage therapist or body worker... ANYONE can do it - moms, dads, friends & family members. I'm a 'prove-it-to-me' kind of person. I had long heard that essential oils have 'intelligence' and that they go where they need to go. My proof was when my neck started getting warm right where my herniated discs were, the oils were going right to where the problem was...and I was doing Raindrop on my feet (vitaflex) not my back!! My kids just couldn’t shake their fevers and body aches...I gave them a Raindrop and they were back to school within 24hrs. My nephew was diagnosed with pneumonia. I offered to do raindrop technique on him and did so for the next 4 days. The 5th day he went back to the doctor and there was NO pneumonia. After being in a car accident I had a lot of pain in my back and right leg that would spasm all the time. I visited 13 doctors all of who gave me drugs to reduce pain...nothing helped. Someone told me to try the Raindrop Technique - within 10 minutes I could feel that it was doing something for the pain. I no longer use a walker or have any pain. We open with a short dance class, breaking down the movements, and rituals of a traditional West African dance class. We'll share an exciting short performance with the instruments, clothing and culture. We'll close with everyone who wishes coming into the Bantaba (The Dancing Ground) and sharing what they've learned and loved of Africa. This workshop/program is great for all! Find the beauty in the world and the beauty that lies within you. Yewande Kelley-Johnson created her own dance curriculum as a child because, her family was too busy to help her take dance lessons. As an adult Yewande did not pursue a career in dance, but gave so much, energy and focus to classes, auditions and rehearsals that the Universe opened the door and made an opportunity she couldn't turn down. She is a five time recipient of the NJ State Council of the Arts Folk Arts grant, which designates her as a master teacher. Yewande is a recipient of the Artist as Catalyst grant from the Mid Atlantic Arts Council, where she designed a dance theater project that involved the local New Jersey community. 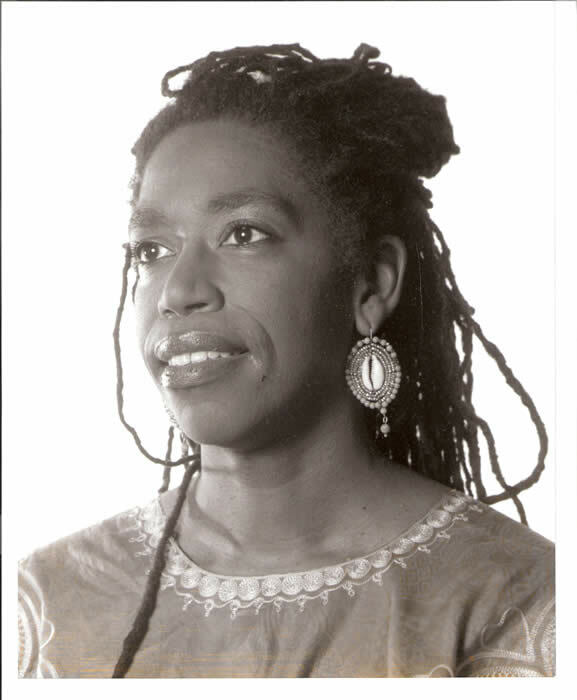 Her last Folk Arts grant let her study the Afro-Cuban legacy of Orisa song and dance with the great akpon (singer in Orisa ceremonies) Amma Mcken. Ms. McKen received an NEH fellowship in 2009 and is now designated as a heritage treasure. The Wofabe Council of New Jersey designated Yewande as an African Dance Elder in 2013. Dance is Yewande's nourishment, joy and a space where she inspires the child and the adult to believe that they can create a story we all want to see. She'll be dancing at her 100th birthday so if you are around reach out, and she'll send you an invite some decades from now. Ayana's first experience with yoga began at a local gym in 2004.It didn't take her long to fall in love with the sense of peace and relaxation she felt after class. Through the encouragement of her first yoga teacher she completed her first teacher training at the Yoga and Healing Center in 2006. In 2010, she completed another training at the Shiva Shanti Yoga School in Rutherford, NJ. Ayana is grateful to all of her teachers on and off the mat who have helped to shape the person she is today. She continues to take classes and workshops to deepen her practice both as a student and an instructor. In her free time, she loves to take belly dance classes and is pursuing a BA in Philosophy at Montclair State. The Gong Bath is a sacred sound immersion that induces spontaneous meditation and facilitates the movement of positive life energy throughout the body. The Gong Bath promotes healing and awakens the consciousness for transformation. The Earth Gong is a rare and magnificent instrument, a large gong tuned to the vibration of AUM, the Universal Chord, and to the fundamental vibration of Planet Earth as she revolves around the Sun. This Fire Ceremony provides us with a way to communicate directly with the Universe. It is an ancient and powerful tool to release the past year with gratitude and love and consciously create the New Year, 2014, with strong intention. Join our circle as we journey to our inner sanctuary for wisdom of what is ready to be released, embrace the lessons learned and create a ‘light arrow’ to offer to the fire as we relea se the past and create space for exciting new beginnings. Start the New Year off with Breath of Fire and Subagh Kriya! abundance that is your birthright. The power of self-awareness does not just attract prosperity, it creates it! 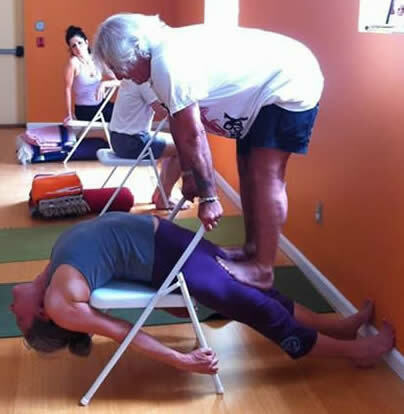 (Not your Grandmother's) Chair Yoga with Christopheray ...back by Popular Demand! 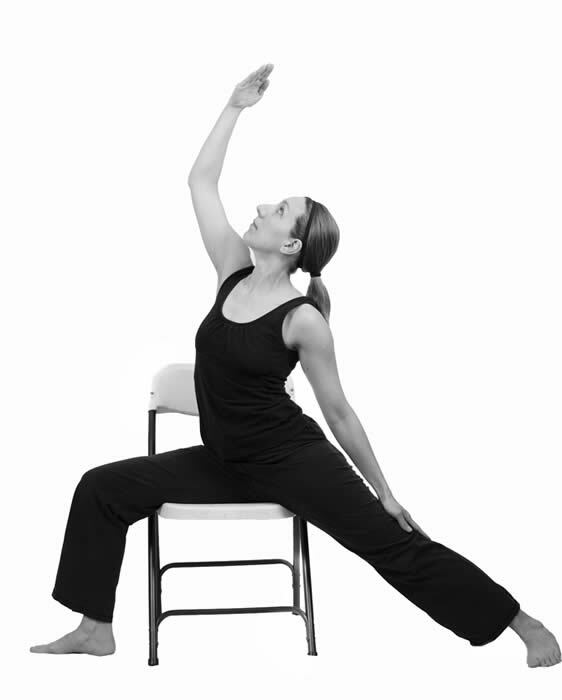 You will learn how practicing WITH a chair can help you to understand the shape and direction of the poses in a whole new way. ~ try a free mini-session with Christina at the Open House! Then $10 DI or $40 for 5-weeks. This Fire Ceremony provides us with a way to communicate directly with the Universe. It is an ancient and powerful tool to release our suffering and old stories, transforming them into pure energy. We then inform the Universe of the new life we are embracing, filled with new and healed beginnings! 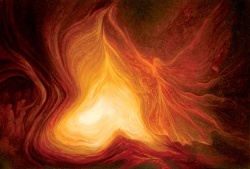 Join our circle as we journey to our inner sanctuary for wisdom of what is ready to be released, create a ‘light arrow’ to offer to the fire, and chant as a community, energizing and witnessing each other’s commitment to healing and transformation. Denise Rizvi is a Doctor of Naturopathy, Meditation Teacher and Soulful Life Coach. She offers workshops and private sessions on Taking Charge of Your Life through a unique cognitive re-patterning process. She is board certified with the American Association of Drugless Practitioners. She completed a two year intensive program with Alberto Villoldo, PhD. & The Four Winds Society’s Healing The Light Body™ in Inka Shamanic Energy Healing. She is certified through Vianna Stibal’s Natures Path in Theta™ Core Belief healing, DNA 1 & 2.. Denise has a private practice in Summit NJ. Please visit her website and blog at www.DeniseRizvi.com. Reiki, massage and other practitioners of the Healing Arts are especially encouraged to attend. Singing bowls, books and CD’s will be available for purchase. Reiki (pronounced ray-key) is a Japanese vibrational healing modality and it literally means universal life energy. 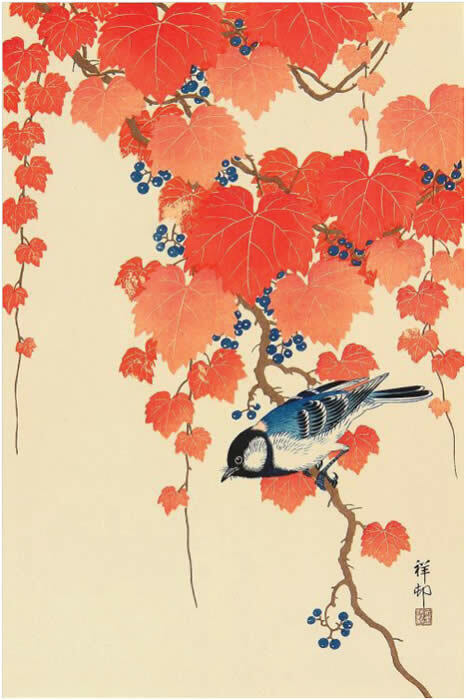 It was developed in its present form by Dr. Mikao Usui in the early 1900’s, who based his techniques on ancient buddhist teachings. The energy is channeled through the practitioner to the client. By balancing the emotional body and creating mental clarity and focus, Reiki brings us to the core of our own healing ability. Reiki is also helpful in the recovery from injuries, or preparation for a medical interventions, in acute or chronic conditions. It can be a beautiful, bonding experience during pregnancy. Reiki is done through light touch on the body and it has a cumulative effect. Rates: 60 minutes $85 ~ 90 minutes $110 (prices include 7% sales tax). Please inquire about packages. 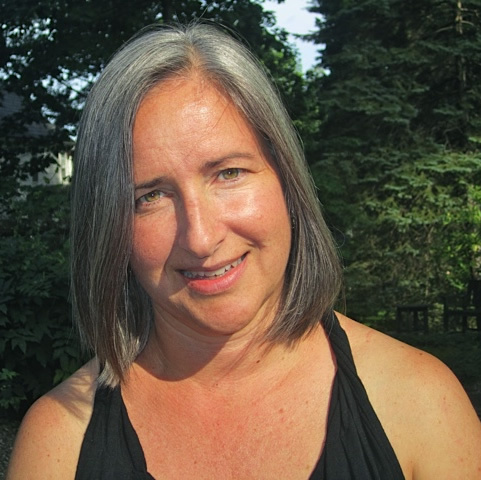 She offers Reiki sessions and individualized Integrative Wellness Programs. 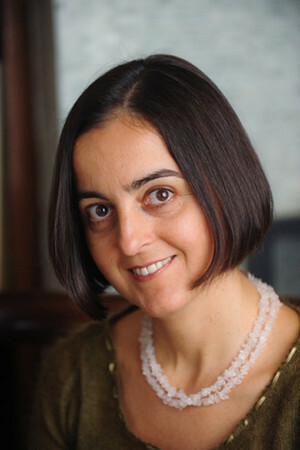 Madalina can be reached at (347) 526-4748, madalina@soultoearthhealing.com, or visit www.soultoearthhealing.com. Experience a Yoga Sequence designed to Revitalize your natural physical, emotional and mental Energy. Week 3: Meeting my Animal Guide: A fun meditation where they meet and receive a message from an animal totem. Understand the benefits of inversions to your health and practice. Prepare your body and mind, with the use of props and breath awareness. Establish the foundation and maintenance of an inversions practice in a Safe, Effective and Fun environment. Register: call 973-763-2288 or pay online ~ Sorry NO drop-ins. ~ Look for a new series in early 2014. New Student Special! Discounts on QMT treatments with Debra during the course, 1 hour sessions $10 off, 1/2 hour sessions $5 off. Cost: $100 for 5-week series or $25 Drop-in. Through mind mastery techniques, meditation, journaling and focused self awareness you will be able to release and replace limiting feelings of powerlessness, fear and confusion. With the tools you learn in this class you can create a new story for your life. A story that you choose, one of fulfillment, self control and a peaceful, organized mind. Feel the difference when you take charge of your life, one thought at a time! Learn 7 powerful Wu Ming Qigong for Breast Health movements and other helpful lifestyle and food tips which benefit breast health from the Chinese medicine perspective. 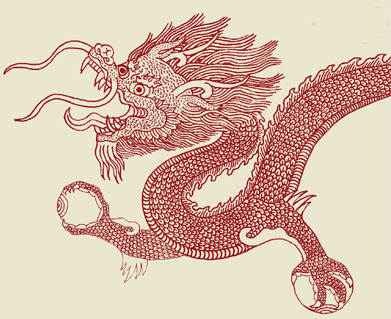 From the Chinese medicine perspective, true health can only be gained from a strong internal energy system. When energy stagnation in the breast area is not addressed and certain conditions such as chronic stress, poor diet and life imbalances are present, it will ultimately lead to physical manifestations of disease such as calcifications, cysts, and breast lumps. Self-healing Qigong movements for Breast Health stimulate the energy flow along the key energy pathways running through the breast area. TCM (Traditional Chinese Medicine) believes that before physical problems appear, they first occur at the energy level and then manifest on the physical level. Qigong works on this energy level, strengthening "Qi" or life force and supporting the immune system. Amitayu meaning boundless life, is similar to "Amitabha," meaning boundless light. These are the two most important conventional names applied to one of the main Buddhas of Mahayana Buddhism, emphasizing two of that Buddha's many attributes. O Ananda, the length of the life of that Bhagavat Amitabha, the Tathagata, is immeasurable.... Therefore that Tathagata is called Amitayus. 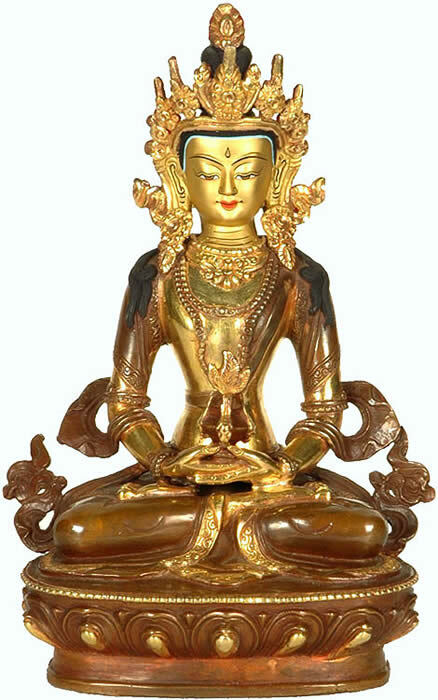 For Mahayana practitioners, Buddha Amitabha/Amitayus is considered the Buddha of the western pure land Sukhavati. Amitabha practice enables practitioners to attain to this pure land upon death. Amitayus practice functions to overcome obstacles that might curtail our full life. Bodhichitta is a Sanskrit word that may be translated as “awakening mind” or “mind of enlightenment.” Bodhichitta is the great wish to relieve the suffering of all sentient beings, seen and unseen. Bodhichitta is the compassionate wish to realize enlightenment for the sake of all beings, not just oneself. There will be some explanation of Amitayu Buddha, instructions for practice, and the actual ceremonial “empowering” or “initiation” to practice. During the empowerment section, participants will come to the front and be blessed with some of the sacred objects. Those who would like to may present a Khatak (silk scarf which are available for sale in the boutique for $4) or a monetary offering (free envelopes available) to Rinpoche. These offerings are completely optional. You may either give your offering when you come up for the initiation blessing or after the program is over. Venerable Khenchen Trinley Paljor Rinpoche is one of the chief lineage holders of the Karma Kagyu school of Tibetan Buddhism. Khenchen Rinpoche became a monk at an early age, underwent the traditional 3 year, 3 month, 3 day retreat three times by the age of thirty, and became a Druponla (retreat master) during his second full retreat. He received the various Kagyupa teachings from H.H. the 16th Gyalwa Karmapa and other Rinpoches and received numerous Sakyapa and Nyingmapa teachings from H.H. Dilgo Khyentse Rinpoche. Recent activities of Khenchen Rinpoche include the giving of important transmissions to holders of the Karma Kagyu lineage, including H.H. the 17th Gyalwa Karmapa Thaye Dorje. He is the resident teacher at the Dharmakaya Retreat Center. Are you walking your dog or is your dog walking you? Delve into the habitual ways of entering and exiting Downward Facing Dog (Adho Mukha Svanasana). Examine which poses (asanas) lead us into and out of Down Dog. Discover how Dog Pose encourages us to understand the shape of other poses. Explore the nurturing aspects of the pose. Kristina Kohler is a dedicated and passionate professional who has worked serving mothers and babies for the past 15 years. She received her BS degree in Nursing (1995) and her MA in Midwifery (1998) from New York City University. Holding licensure as a Registered Nurse, Certified Nurse-Midwife and as an International Board Certified Lactation Consultant, she has worked in major municipal hospitals in New York City and Los Angeles as a Pediatric Nurse, Labor & Delivery Nurse and Midwife. Her experience and expertise include providing full scope prenatal, obstetrical and well-woman gynecological care to a diverse population of women and their families. Kristina currently resides in Maplewood, New Jersey with her husband and two young children. Explore the Hips & Shoulders in Standing and Sitting poses with Senior Iyengar Teacher Carole B.
Carole Baillargeon started doing Iyengar yoga in Montreal in 1986 after completing her BA in history and literature. She did her Iyengar Teacher Training in Sydney, Australia and then moved to Darwin in the tropical north to open her own school, Darwin Yoga Space. Carole holds a Senior Intermediate II Iyengar teaching certificate and has been educating teachers for 10 years. 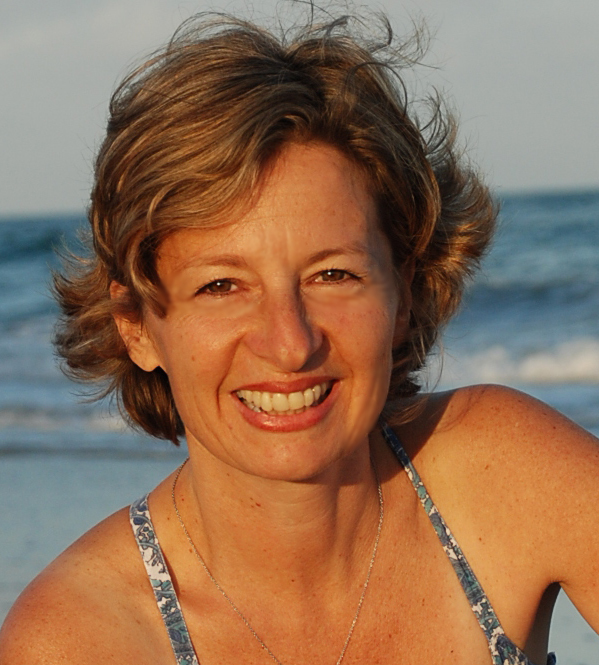 She teaches workshops in Australia and overseas including yoga retreats in Bali. 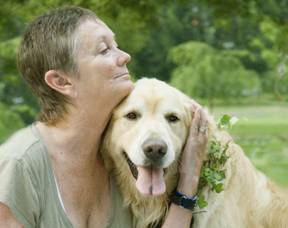 Carole has a keen interest in the philosophy of yoga and yoga as a therapeutic tool. She has been attending classes at the Iyengar Yoga Institute in Pune, India nearly every year for the last 21 years. She feels very privileged to be able to dedicate her time and energy to the study, practice and teaching of yoga. A teaching and transmission of the profound practice of the Mother of all the Buddhas, Arya Tara, a practice which reveals the very nature of mind, the Buddha within, and the enlightened qualities inherent in us all. Lama Rangbar will offer both the oral transmission (authorization to do the practice) along with meditation instructions and profound methods to help remove obscurations to our enlightened nature and gain freedom from the disturbing emotions that separate us from the true nature of our own mind causing us unnecessary suffering. 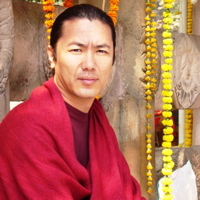 By receiving the transmission and meditating upon the instructions, students are authorized to practice this unique unbroken treasure lineage of meditation from Tersay Dorje Dradul, the youngest son of the great treasure revealer, Dudjom Lingpa. Green Tara is the mother of all the Buddhas and the embodiment of all Buddhas' activities. 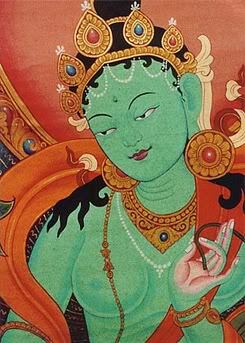 By meditating on Green Tara we connect directly with her enlightened qualities within ourselves. By this practice, one can quickly remove all obstacles and speed the success of all one’s wishes. One can also obtain protection from the eight great fears and sixteen lesser ones, which affect us all. For those who have already received the Tara Transmission, Lama will also be giving much more detail about practice and its meaning and benefits. Adam Friedensohn (Lama Rangbar Nyima Ozer), is a Mantra lineage holder trained in the Vajrayana Buddhist tradition over the past 30 years. Recognized by Tsewang Ngodrup Rinpoche as the single activity emanation of Tulku Chimed Yugyal the ritual meditation master of Rangnang Ogmin Ling Dzogchen Monastery in Kham Tibet, he exemplifies the transfer of Eastern Wisdom to Western mind. His teachings are always fresh and up to date yet solidly based on the authenticity of the ancient school (Nyingmapa) tradition. His presentation of awakened mind is warm, playful and invigorating. Lama has returned to the USA after 20 years of living and practicing in Nepal in order to establish one of the most important monumental peace projects of our times, Maha Bodhivastu Stupa and The Great Mandala for World Peace. In the past, Lama Rangbar established several benevolent environmental organizations in the fields of solar energy, electric vehicles, poverty reduction for remote areas and vital service provision. He is the Founder of The Himalayan Light Foundation, Lotus Energy, Eco-Visions, and Clean Environmental Products International. The study of the Reiki System of Natural Healing offers a path toward self discovery and a modality for healing. The teachings are usually offered in 3 levels. Shoden Level 1 teaches how to develop spiritual and mental focus, as well as breathing techniques and meditations. Certification for this class is available after completion of course requirements. 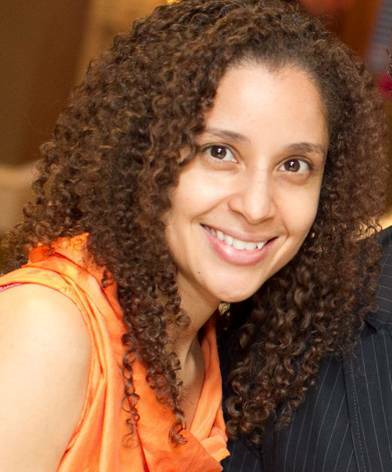 Madalina Blanton is a Reiki Master Teacher and health counselor based in Maplewood, NJ. 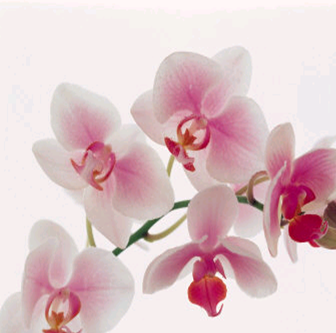 She has trained with Margaret Ann Case at the Open Center and Frans Stiene from the International House of Reiki. 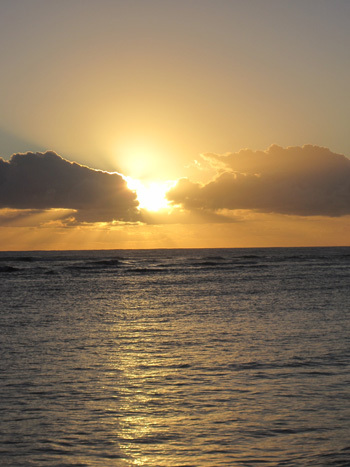 Madalina offers Reiki/energy healing sessions, teaches Reiki and other classes designed to help you reconnect to your soul. Enjoy a Kundalini Kriya to reduce stress and renew the nervous system followed by a deep, restorative relaxation. We will finish with a joyful, healing Kundalini meditation. 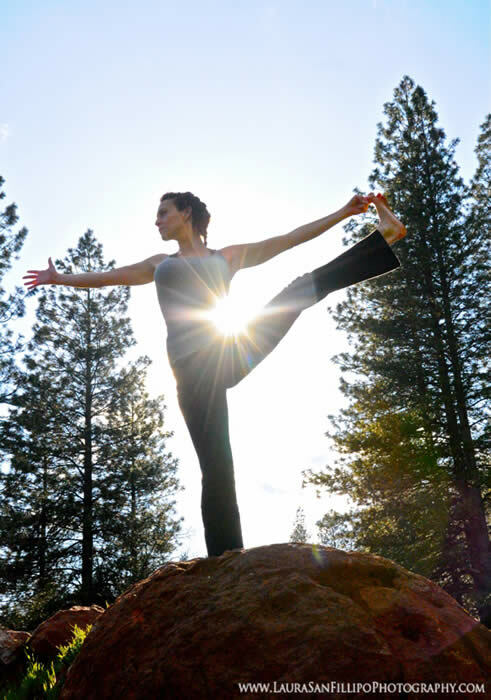 Lissa started practicing yoga regularly in 2008 and immediately noticed a transformation in herself and her life, an ability to feel more centered, connected, and more comfortable in her own skin. She found a joy and sanctuary in her practice, which she felt a growing need to share with others. Lissa completed her 200 hour yoga teacher training through YogaWorks in 2011 and teaches a vinyasa class with a focus on creative sequencing, corework, mindfulness, and restorative poses. She wants students to come to her class, feeling free to be themselves, no matter their level of experience or flexibility, and to have the space to grow and let go. The Circle will include a brief introduction about using Reiki and Meditation, separately or in conjunction, to alleviate stress, assist your yoga practice and benefit you in many aspects of your daily living. The main part of the program is group meditation and healing. 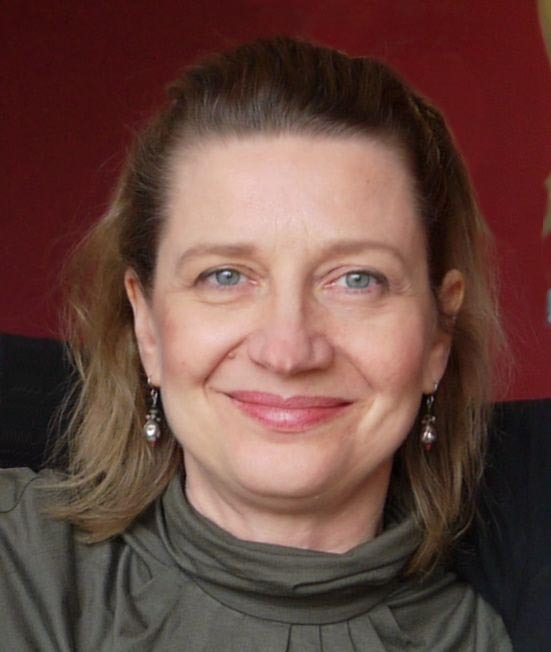 Zintis is a Reiki Master and has been practicing since the early 90’s. Trained by John Davis in NYC, he adheres to the principals of the original Usui Shiki Ryoho system. Zintis does private sessions, as well as teaching classes, seminars and trainings throughout the country, in Mexico, London and Riga, Latvia! He has recently moved to Montclair. Please join us for this rare and auspicious opportunity to sit with a FEMALE! Tibetan Meditation Master with noble lineage, long-term practice, wisdom and compassion. An Oral Transmission is a process where the teacher introduces the students to a specific type of practice which is geared to helping the practitioner reveal the very nature of their mind, the Buddha nature within, and the enlightened qualities inherent in us all. Here the teacher is also offering the student instructions and techniques for meditation in order to remove obscurations to their enlightened nature. The student is then authorized to practice the unbroken lineage of meditation instructions given, with all the blessings of the lineage gurus. By receiving the transmission and meditating upon the instructions one can become free from the disturbing emotions which are not the nature of one's mind, and eventually become fully enlightened. A transmission such as this can be received with two motivations - as a blessing to make a connection to the spiritual path, and to commit to practicing its meditation. Green Tara is the mother of all the Buddhas and the embodiment of all Buddhas' activities. By meditating on Green Tara we are connecting with her enlightened qualities within ourselves. One can quickly remove all obstacles and speed the success of all ones wishes. One can also obtain protection from the eight great fears, which affect us all. These fears manifest as the distorted reflections created by pride, delusion, anger, envy, wrong views, avarice, attachment and doubt. Tara helps all those who suffer from these inner negative emotions. Sangyum Kamala was born in northern India into an extraordinary Dharma lineage. 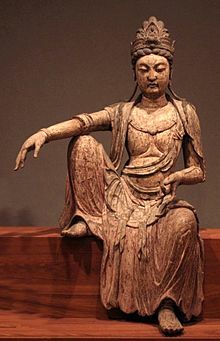 Her father was renowned as a Terton in the Nyingma Lineage. He journeyed in Sikkim and propagated the Buddhist teachings throughout Tibet, Nepal, Sikkim and India in both conventional and charismatic styles. Her mother was a great practitioner and dakini who devoted her entire life to Dharma practice. When she passed away at age 83, her body remained in meditation for 7 days, and a circular rainbow appeared in the sky over her room. Sangyum was raised in an environment infused with Dharma practice, the blessings of faith and the power of Secret Mantra. She met her root Guru HH Dudjom Rinpoche together with Chatral Rinpoche in Simla at age 13. Her father was also a student of HH Dudjom Rinpoche, and her grandfather was Gyachok Lingpa, a famous Terton and doctor from Golok, Serta, and was a student of Dudjom Lingpa. 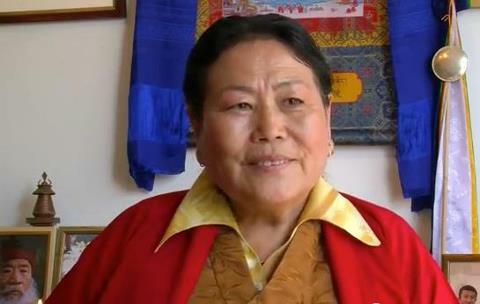 At the age of 20, she married Chatral Sangye Dorje, the greatest living Dzogchen master today. They have now been married for 50 years. Join us and find out all of Young Living’s beauty secrets! Please join us for this rare and wonderful opportunity to sit with our friend Lama Gursam. 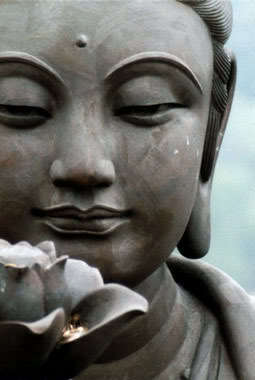 Class includes a talk on Compassion Practice in Every Day Life and Guided Meditaiton, perhaps some chanting as well. Come with you open heart, enthusiasm and questions. Lama Gursam entered Drikung Kagyu Monastery in Tso Pema, India, at the age of 6. Here he completed his basic education in Buddhist philosophy, practice, ritual and conduct. In 1981 he began his college education at the Central Institute of Higher Tibetan Studies (University) in Sarnath, Varanasi, India. He earned his Bachelor's degree in 1988 in the Sanskrit, Hindi, Tibetan, and English languages and in Buddhist philosophy. In 1990 he received his Master's degree in advanced Buddhist philosophy. Upon graduation he also received a special award from His Holiness the Dalai Lama. In 1995, Lama Gursam was sent by His Holiness Kyabgon Chetsang Rinpoche to the United States, where he taught Buddhist philosophy for five years. Lama Gursam worked as a resident teacher in a Tibetan Meditation Center, also serving as director of North American Drikung Kagyu Center. 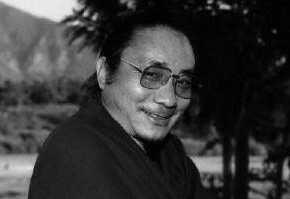 Then Lama Gursam met His Eminence Garchen Rinpoche, whom he considers to be the second Milarepa. Under H.E. Garchen Rinpoche's guidance, together with the Venerable Traga Rinpoche, he became a yogi, and in 2002 he completed a traditional three-year retreat in the United States, practicing Mahamudra and the Six Yogas of Naropa. After a nationwide teaching tour, he then traveled to India, Nepal and the border of Tibet, where he completed a six-month retreat in Milarepa's cave at Lapchi. In 2006, Lama Gursam founded The Bodhichitta Foundation, a U.S. non-profit organization officially recognized by His Holiness Chetsang Rinpoche, head of the Drikung Kagyu lineage. The Bodhichitta Foundation benefits the West with teachings, a future center and retreat land, and the East, preserving ancient texts, Tibetan culture, education, women's rights, and health. Aimee has been on her mat for over a decade. In this time her practice has become a guide for her life. Through yoga she has found many different teachers, all to whom she gives thanks. Aimee completed a 500 hour teachers training certification, along with trainings from Richard Freeman, Peter Rizzo, and Rodney Yee. Aimee's classes combine a focus on breath and alignment with a dynamic and rigorous flow to create a Vinyasa style yoga that challenges and heals. It is with great joy and gratitude that Aimee shares the light of yoga with others. Two brilliant improvisers create in the moment in response to sight, sound, breath, the season, time of day and audience feeling. Expect to see the unexpected and thrill in the creation of the moment. 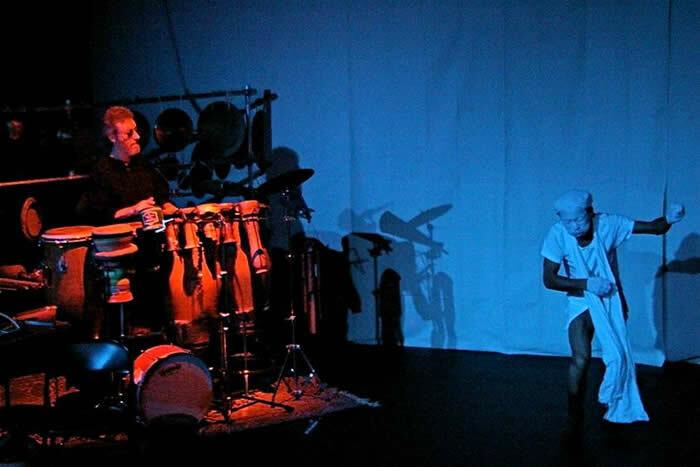 For the past 16 years dance innovator Oguri and world percussion pioneer Adam Rudolph have presented their music and dance collaboration toaudiences in Europe and the USA. Created entirely in the moment, each concertis a journey into a darkness of movement, and the thrill of percussivedynamics and motion. Learn the Basics of the Bhagavd Gita and how it relates to Yoga, You and Your Yoga Practice. Enjoy the yoga of voice with 40 year Kirtan practitioners Laksmi and his wife Pattarajni. 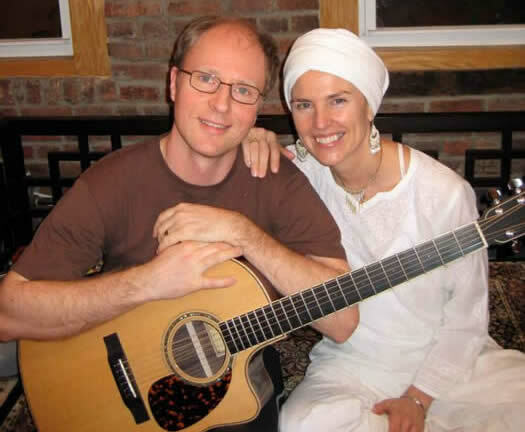 Kirtan uses the medium of sacred sound to balance and soothe your mind and uplift your heart. Learn to vibrate your own chakras with the joyous sounds of Kirtan and let your attention naturally turn inward as you experience the music and the energy of the group. Afterwards enjoy delicious vegetarian snacks, compliments of Pattarajni. Laksmi Nrsimha das (Larry Pugliese) has been practicing bhakti yoga for nearly forty years both in the USA and India under the mentorship of A.C. Bhaktivedanta Swami. For 3 years Laksmi traveled throughout the USA with the legendary kirtaniya Visnu Jana Swami on a temple bus, bringing kirtan to nearly every town, city and university in North America. He has continued to this day to perform kirtan at yoga studios in the NY/NJ area as well as in many temples and homes of kirtan enthusiasts. Laksmi is also well known for his scholarship in the Bhakti sastras such as Bhagavad Gita, Bhagavat Purana and other Vedic literatures. He has lectured on radio and TV, as well as in Universities nationwide for nearly 4 decades. 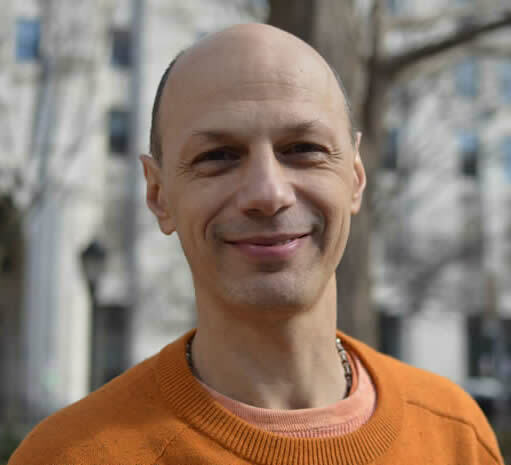 He continues to share his realizations on a regular basis through lectures and seminars that are held during yoga teacher training courses in the NY/NJ area and is also a regular lecturer at the Bhakti Center in the East Village. Jane began practicing yoga in 2006 in a Korean style that combined stretching, Tai Chi, energy work and meditation. She had been an instructor there for 2 years when she joined the SHAKTIBODY Teacher Training Program in the fall of 2011 (which she graduated from in March 2012). Her love of movement and viewing the body as an art form began as a child with dance training. Initially Jane was attracted to the yoga asanas because they reminded her of her favorite form of dance – ballet. The transition was effortless and Jane became a faithful practitioner. 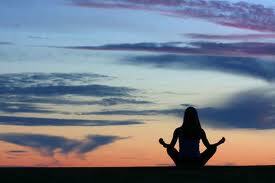 As a bonus, she found deep comfort in the spiritual aspect and meditation practice. Jane has degrees in art and has been a working artist most of her life. She is currently focused on jewelry design, drawing, water colors and collage. She has been an art instructor as well. She also worked as a weight loss consultant for 5 years and holds a certification in Massage Therapy. Jane believes that she has been called to help people feel great about themselves, just exactly the way they are. This was her motivation to become a yoga teacher and her intention in her classes. Lori has flirted with yoga on and off for the past 17 years while competing in running and triathlons. Immediately after retiring from 20 years as an elementary school teacher, she decided it was time to hunker down and take her practice more seriously. Lori has taken weekend studies at Kripalu with Kofi Busia and Schyler Grant as well as a variety of other one-day workshops. She recently completed her 200-hour YTT at Shakti Body under the tutelage of Deb Kurilla and Anna Winkler. 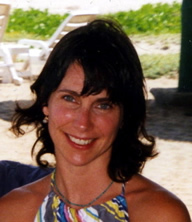 A dedicated Ashtangi, Lori enjoys a vigorous vinyasa class as well as a calming restorative. She enjoys challenging her students to go beyond what their minds believe impossible, keeping it light and playful at the same time. Lori feels honored to be able to help others grow in their life practice, on and off the mat. Lori is extremely excited to have been certified in July 2010 with Karma Kids to teach yoga to young people! Subtle adjustments to the cranial bones and manipulation of constricted areas in the body help this fluid move more freely, facilitating healing on many levels. 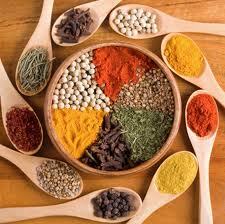 From a holistic perspective food is at the end of the chain of what nourishes us. A deeper relationship between spirit and body is behind what we consume. Integrative Health Counseling is a path of self discovery where you will learn to understand your cravings, stop binges, feel better in your physical body and allow room for natural grace and ease to emerge. The 6 months program offers 2 health counseling sessions and 1 Reiki session a month, food samples, handouts, CD’s, books and other resource materials, unlimited email support, a healthy cooking demo and more. This approach is not about exerting more will power or practicing more self-discipline. It is about finding that special space between your thoughts, about resting in the place between your breaths and let your health emerge. To Schedule: contact Madalina Blanton. Combining Western bodywork techniques with time-honored Eastern energetic systems, this work assists the client in connecting to their own innate healing abilities. 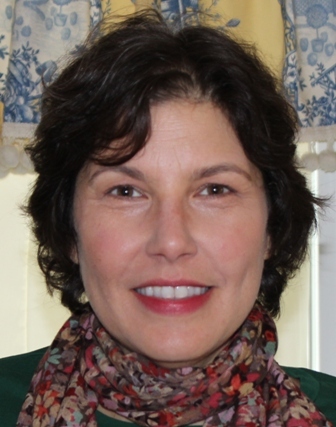 Carol is a Registered Polarity Practitioner and a Licensed Massage Therapist in NY State. She has taken advanced training in Craniosacral Balancing with the Ultrasonic Care Group of New York City and with the Upledger Institute. Carol studied advanced anatomy, Swedish Massage and Shiatsu at the Institute for Therapeutic Massage in New Jersey. She has been practicing since 2000 in NYC and NJ. A long-time explorer of the body-mind connection through bodywork, music, and movement, Carol studied Sensory Awareness with Betty Keane in 1975. In addition, she studied Iyengar and Hatha yoga and completed extensive work with Alan Seale on chakra awareness and intuitive development. 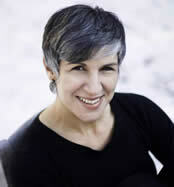 Carol's focus in mind/bodywork healing is to integrate thoughts, emotional and spiritual feelings, and body sensation. Carol seeks to create the safety needed to deeply experience and express the stories of the heart, mind and body. Through the act of listening with heart and hands to anything from back pain to past emotional trauma, she facilitates healing and a freer expression of life. Carol also performs as a singer and teaches voice and piano, helping her audiences and students tune into their own abilities to feel and express. Carol can be reached at (973) 378-8566 or carol@shaktinj.com. Visit her website for more information: www.CarolReingold.com. Gena Rho-Smith began practicing Yoga in 1998 after a professional career as a modern dancer, most notably as a member of the Trisha Brown Company where she performed and taught internationally. Gena has studied Alexander Technique and corrective approaches to dance throughout her career. She brings this knowledge of alignment and body mechanics to the practice of Yoga and Thai Yoga Bodywork. She is a certified Thai Yoga Bodywork Practioner with Jonas Westring. Gena can be reached at (973) 378-5799, (646) 734-9708 or rhosmith@comcast.net. 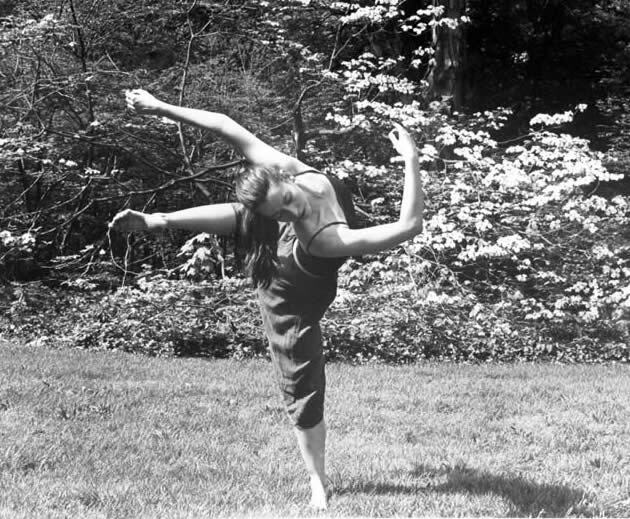 Gena began practicing yoga in 1998 after a performing with the Trisha Brown Dance Company. She studied Ashtanga yoga with Raji Thron and completed his Yoga Synthesis teacher training. Gena has been a Thai Yoga Bodywork Practitioner since 2005. She learned the art of Thai Bodywork from Jonas Westring and has assisted him in training others. In February, she traveled to Chiang Mai, Thailand to study Anusara Yoga with Jonas. Gena enjoys the moving meditation inherent in a vinyasa practice, rigorous alignment principles and riding the energy wave of yoga and Thai Yoga Bodywork. 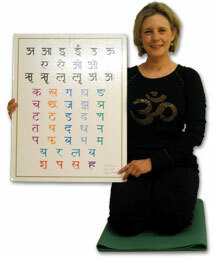 Sanskrit Immersion ~ Learn the alphabet, chant and read words in Deva Nagari! A unique characteristic of the Sanskrit language is its precise pronunciation which is found in five locations in the mouth. Every sound or syllable is located at one of the five positions. The beauty of the sound is directly linked to the sensing of the vibrations created when intoning as little as a single letter of the Sanskrit alphabet. The language of Sanskrit uses an Indic alphabet known as Deva Nagari. “Sanskrit, the language of the human spirit, seems to be the perfect instrument for bringing about healing on many levels. Physically, its resonating power promotes healing. Mentally it awakens the natural brightness, agility and order of the mind. Spiritually, it facilitates an expansion of awareness, tranquility and bliss.” – Vyaas Houston, director: American Sanskrit Institute. Certified Iyengar Yoga teacher Leslie Dillingham Freyberg came to Yoga from twenty years in the dance and theater profession. While a member of the Jean Erdman Dance Theater, she met Ms. Erdman’s husband, the renowned mythologist Joseph Campbell. It was through Campbell’s seminars on the mythology of India that Leslie received her first exposure to Sanskrit, the language of sacred sound, ancient Indian texts, and of Yoga. 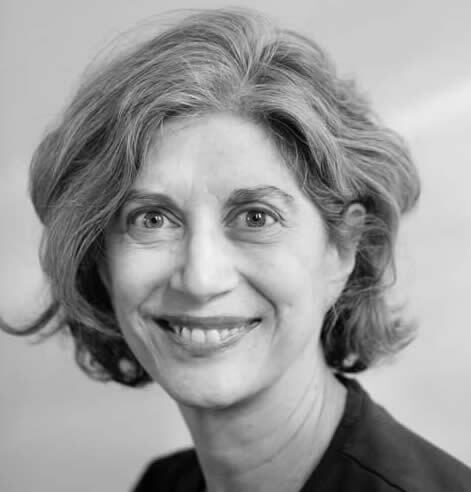 Leslie has studied Sanskrit extensively with Vyaas Houston (director of the American Sanskrit Institute), Edwin Bryant, John Campbell, Manorama, and Dr. Ram Sharma of the Yoga Societies of San Francisco and New York. It was while attending Yoga retreats with acclaimed Iyengar Yoga teacher Patricia Walden that Leslie, through Walden’s inspiration and guidance, began to develop chanting sessions with fellow participants. The chanting of Sanskrit mantras proved to add an enriching dimension to the Yoga practice. As a member of the faculty of the American Sanskrit Institute, Leslie travels nationwide under its auspices to teach the foundation of the Sanskrit Language, an indispensable component for the serious study of Yoga. Since ancient times the practice of yoga has included the study and chanting of Sanskrit mantras to induce calm and clarity in meditation. Sanskrit is one of the oldest languages known to man. Chanting is the use of sound to express our connection with the divine. 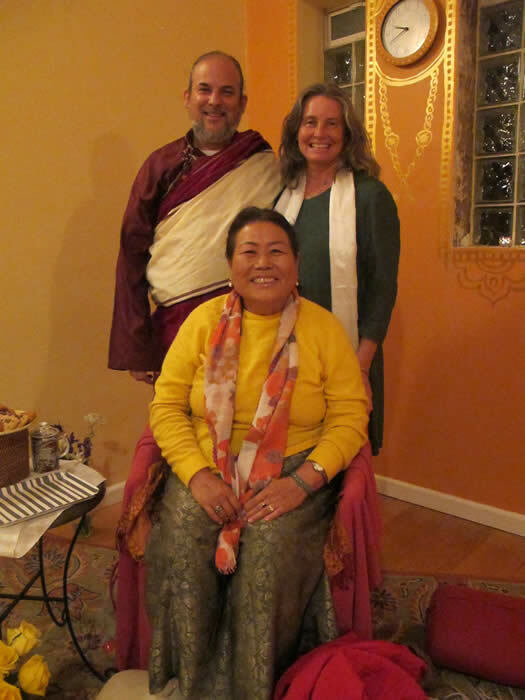 Through her love of Sanskrit and infectious sense of humor, Leslie Dillingham Freyberg has earned the reputation of leading engaging and meaningful courses in Sanskrit and chanting throughout the country. 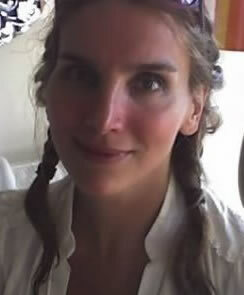 She began her studies in 1995 through the American Sanskrit Institute and is currently a faculty member there. She also serves on the faculties of Patricia Walden’s teacher training program in Cambridge, Massachusetts and the Iyengar Yoga Institute in New York. Leslie continues her Sanskrit studies with Dr. Ram Karan Sharma of New Dehli and Bharati Devi of New York. Leslie is a certified Iyengar Yoga instructor. In this gentle yoga practice, movements are synchronized with the breath, turning rigidity into fluidity. We do not hold poses, we "go with the flow." We will, however, take periodic breaks where we rest in a passive pose (asana) as the emphasis in this class is on de-stressing the body and mind. Gentle yoga is very therapeutic in nature and is appropriate for "every-body" even those with limited physical abilities. Appropriate for beginners and those wanting a more restful, restorative practice. Gentle. Like Yoga, Essential Oils are thousands of years old and have been tied with Yoga in ancient India. Early yogis prized these oils “Attars” for their ability to calm the mind and enhance meditation. When paired with your Yoga Session, Essential Oils can enhance and deepen your practice. The scents and applications of therapeutic grade essential oils are transmitted on a molecular level directly to the part of your brain that controls emotional response and memory. Therapeutic Grade Essential Oils also help the practitioner with balance, energy, and deep relaxation. Class begins with a short introduction to Therapeutic Grade Essential Oil history and it’s usage today. From there you will be lead through a sequence of asanas with gentle pauses of Essential Oil applications, concluding the session with a blissful relaxation and meditation. There will be time for questions and answers and a refreshing nutrient sample of Ningxia Red (wolfberry juice). You won’t want to miss this delightful experience! Susan Martz, CYI (Certified Yoga Instructory), Broadway Performer & Mom, has taught Yoga, Fitness and Wellness for over 15 years. She continues to assist her students and colleagues with the health challenges they face, using Therapeutic Grade Essential Oils. Her passion is raising environmental awareness and helping others empower themselves toward personal healing. Summer Solstice Concert 2012 ~ come eat, dance & rock out with us! Originally from Chicago, composer and handrummer/percussionist Adam Rudolph has released over twenty recordings as a leader and appeared on numerous albums. For the past three decades he has performed extensively on concert stages and music festivals throughout North & South America, Europe, Africa, and Asia. Rudolph also conducts and composes for the Go: Organic Orchestra, a 30-piece woodwind, brass, strings and percussion ensemble, which he founded in 2001. 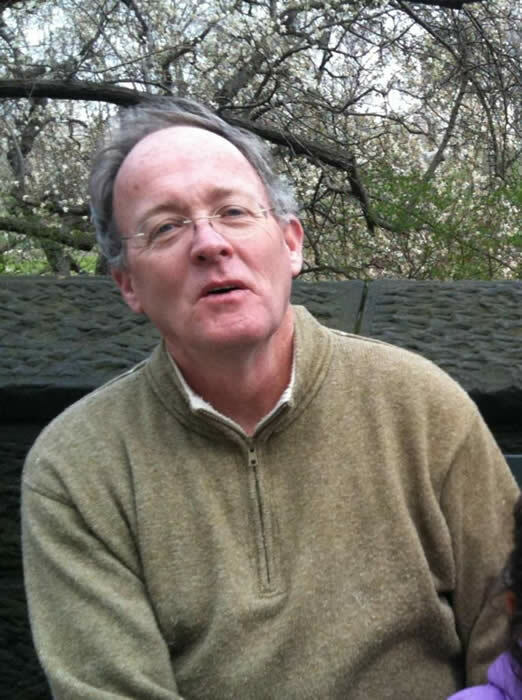 He has received grants and compositional commissions from the Rockefeller Foundation, Chamber Music America, Meet the Composer, Mary Flagler Cary Trust, the NEA, Arts International, Durfee Foundation and American Composers Forum. Bring: Please bring your own blankets, pillows, etc. for your comfort. There will be some available, but may not be enough for everyone. Chöd is a practice that combines Buddhist meditation with ancient shamanic ritual. The word "Chöd" means to cut through, or "chop," and what is chopped off is ultimately the Ego. Thereby our pure awareness is set free to percieve reality, and the whole world becomes potent as a place of blessing power and awareness. This Healing Chod ceremony is designed to lift away spiritual oppression and lessen the sources of suffering and disease. The participants just show up with a pillow and blanket and take a nap while Rimpoche sings the powerful ritual to the accompaniment of drum, bell and a thigh-bone horn. Chöd practice has a special appeal for women. Besides having been created by the Tibetan lady saint Machig Labdrön herself, women have been spiritual leaders in the Chöd tradition down through history. The Tibetan spiritual teacher and yogi Ontul Rimpoche is widely recognized as a master of this ancient healing practice, which is made available to those fortunate enough to attend this rare event. At the conclusion of the healing ritual participants are welcome to come up for an individual blessing, make an offering, and thank Rimpoche directly. This powerful ceremony of chant and drumming is open to everyone. Absentee healings welcome also. Lho Ontul Rinpoche is a master of both the Drikung Kagyu and Nyingma lineages. The Drikung Kyabgon H. H. Chetsang Rinpoche recognized Ontul Rinpoche to be the emanation of Drog Ban Khiu Chung Lotsawa, one of the twenty-five main disciples of Guru Rinpoche. In a previous incarnation, Rinpoche was the older brother and one of the primary disciples of the great Drikung Treasure Revealer Orgyen Nuden Dorje, thus receiving the name "Ontul", meaning "older brother". In 1959 Rinpoche fled the Chinese Communist occupation of Tibet to India. In India the Drikung Khandro Nini Rinpoche cared for and taught Ontul Rinpoche as well as introducing Rinpoche to his root lama, Ven. Khenpo Thubten, a great Nyingmapa teacher, from whom Rinpoche received extensive instruction on the Longchen Nyingthig. Rinpoche also received Mahamudra and Dzogchen teachings from Dudjom Rinpoche, Khunu Lama Tenzin Gyaltsen, H.H. Dilgo Khyentse Rinpoche, 3rd Kalu Rinpoche, Yogi Khyunga Rinpoche and others. Ontul Rinpoche received the Yangzab treasure teachings from H.E. Chvje Togden Rinpoche, the 8th Garchen Rinpoche, and Khenpo Konchog Ngedon. With the blessing of H.H. Drikung Kyabgon Chetsang Rinpoche, Ontul Rinpoche travels the world transmitting the Drikung Dzogchen treasure teachings. Rinpoche is known for his warm humor, wisdom, and vast bodhicitta. 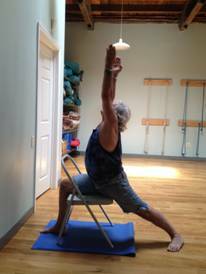 Easy Chair Yoga - for Seniors young and old! This is a non-refundable series, missed classes can be made-up at any drop-in class, or at another series. Discover your Radiant Health with Easy Chair Yoga. This class offers simple yoga poses, breathing exercises, deep relaxation and meditation performed sitting in a chair. The class is designed to help you regain flexibility, strength and vitality that may have been lost due to a sedentary lifestyle or illness. The result is a peaceful mind and a more radiant body. Yoga for Big Beautiful Bodies! This class is for anyone who has been reluctant to try yoga because they were uncomfortable with their body or weight. Jane will provide a comfortable, accepting atmosphere for you to learn and enjoy your practice of yoga, focusing on self-acceptance and self-love. Join us on this five week journey to a happier, healthier you. All levels and all bodies welcome. This series is an introduction to the Vinyasa style and will focus on allowing the breath to enliven our bodies through graceful movement. Rather than strictly focusing on alignment, we will focus on the sense of beauty our bodies can create while flowing gracefully from pose to pose. The series will begin with breathing and sun salutations and gradually incorporate standing poses, seated poses, balancing poses and inversions. Learn ways to keep your chakras well tuned. Each chakra gets one week of exploration. Use chanting, breathing and crystals to balance and enhance the flow of energy. Discuss how foods affect the chakras. Put together a general maintenance program that you can add to your Wellness Tool Kit. Receive hand-outs and recipes to further your appetite for the knowledge of your internal energy structure. In times of change, look inside for answers; the inner landscape is endless. Thai Yoga Bodywork is an ancient and sacred healing art form with deep roots in traditional Thai massage, Buddhism and Yoga. This workshop will be an opportunity to learn and experience basic Thai bodywork techniques that facilitate mobility and balance the body's vital energy. Anyone can participate, no previous massage experience necessary, however,you must be able bear weight on your hands and knees. Yoga experience is helpful, but not necessary. Gena Rho-Smith has been a Thai Yoga Bodywork practitioner since 2004. She began practicing and teaching yoga in 1998 after performing with the Trisha Brown Dance Company. She received her yoga certification from Raji Thron.Gena learned the art of Thai Yoga Bodywork from Jonas Westring and has assisted him in training others. This February she travelled to Chiang Mai, Thailand to study Anusara with Jonas. Please wear comfortable cotton clothing that you can move in easily. Questions: email Donna for questions about the class, contact the studio for payment, etc. 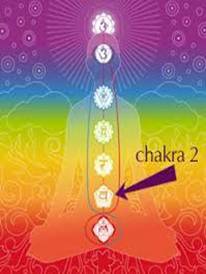 Kundalini Yoga works very specifically with the Chakras, the energy Centers along the Spine. 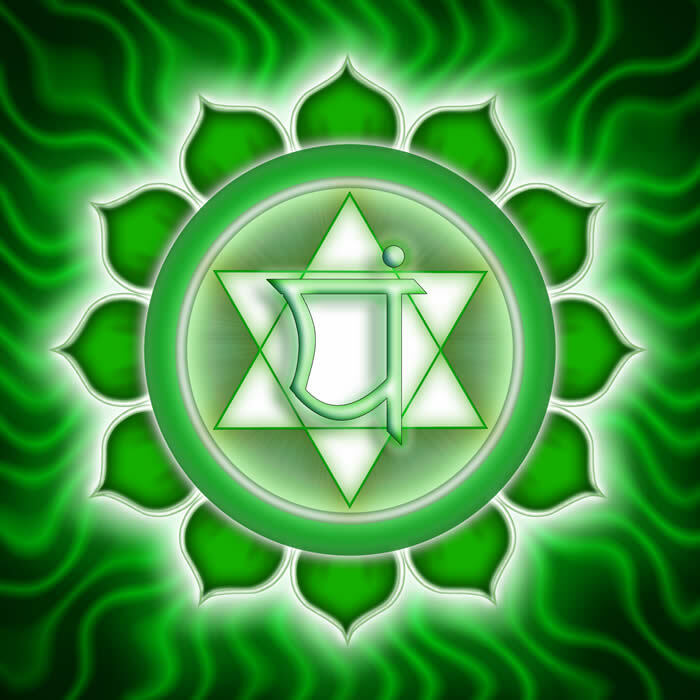 At any moment we are communicating more from one chakra than the others. If the chakras are balanced the communication is different than when imbalanced. Kundalini sets, breathing, meditations and mantras will be incorporated. Donna Amrita Davidge and Kent Bonham own and operate Sewall House Yoga Retreat in Maine. Amrita also teaches at the Open Center (Chakras) and Golden Bridge in NYC. Kent plays guitar, sings, chefs and does massage at Sewall House and will provide music. Amrita has been teaching yoga since the mid 80's in many settings. Since 1999 she has practiced various forms of yoga and beleives that the inner healing from Kundalini is a powerful tool in these changing challenging times. Together Donna & Kent have produced two DVDs and a yoga nidra CD. continued Financial Well Being of Shakti Yoga. Since the 1970’s Rudolph has been developing his unique syncretic approach to hand drumming in creative collaborations with outstanding artists of cross-cultural and improvised music, including: Don Cherry, Jon Hassel, Sam Rivers, Hassan Hakmoun, L. Shankar, Omar Sosa, Wadada Leo Smith, and Pharaoh Sanders. In 1988 Rudolph began his association Yusef Lateef, with whom he has toured worldwide and recorded over 15 albums. 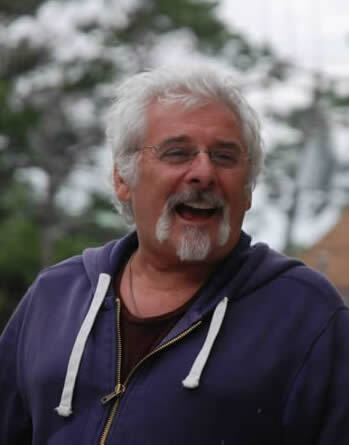 Rudolph is artistic director of and composes for several performing ensembles: Adam Rudolph’s Moving Pictures Quartet and Octet, Hu: Vibrational with Hamid Drake, and Vashti International Percussion Ensemble. He performs as half of the Wildflowers Duo with Butoh dance innovator Oguri. Rudolph also conducts and composes for the Go: Organic Orchestra, a 30-piece woodwind, brass, strings and percussion ensemble, which he founded in 2001. Rudolph recently premiered his first Opera, The Dreamer, based on the text of Friedreich Nietzsche's "The Birth of Tragedy". His rhythm methodology book, Pure Rhythm was published by advance music, Germany in 2006. He has received grants and compositional commissions from the Rockefeller Foundation, Chamber Music America, Meet the Composer, Mary Flagler Cary Trust, the NEA, Arts International, Durfee Foundation and American Composers Forum. 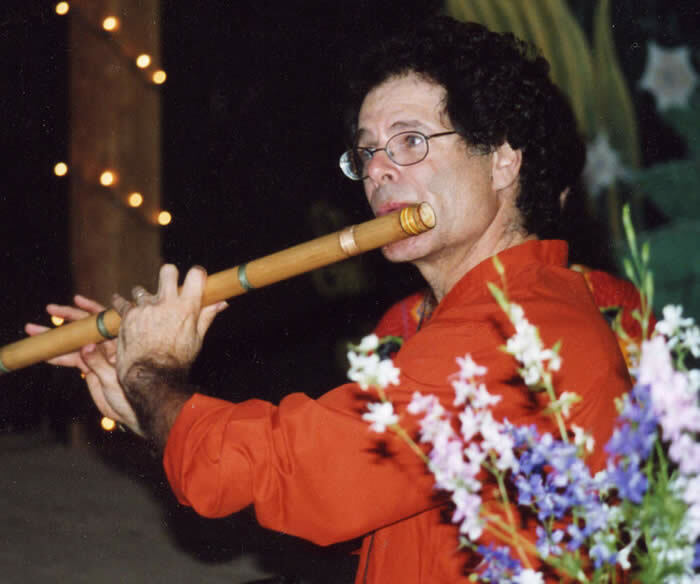 "Steve Gorn performed exquisitely and evocatively on the bamboo flute." "........ an astonishing treatment of raga .... Gorn went beyond the notes to reach a place where his instrument was more effective than the human voice." "Steve Gorn plays with liquid grace. He is a master of sound-magic; may the world discover his gift." 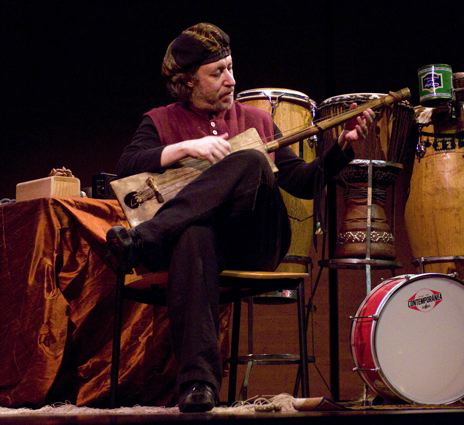 Steve Gorn has performed Indian classical music and new American music on the bansuri bamboo flute and soprano saxophone in concerts and festivals throughout the world. He ha s performed extensively with Krishna Das, Jai Uttal, Shyam Das, Paul Winter. A disciple of the late bansuri master, Sri Gour Goswami of Calcutta, he has recorded and performed with a wide range of artists including Paul Simon, Tony Levin, Jack DeJohnette, Glen Velez, and Simon Shaheen. He has composed for film, television, dance and theatre, and performed in concerts and festivals throughout the world. The Preliminary Practices offer us a way to consider our lives, assistimg in opening our minds and hearts to a healthy point of view, amidst the discomfort and insecurities of life. 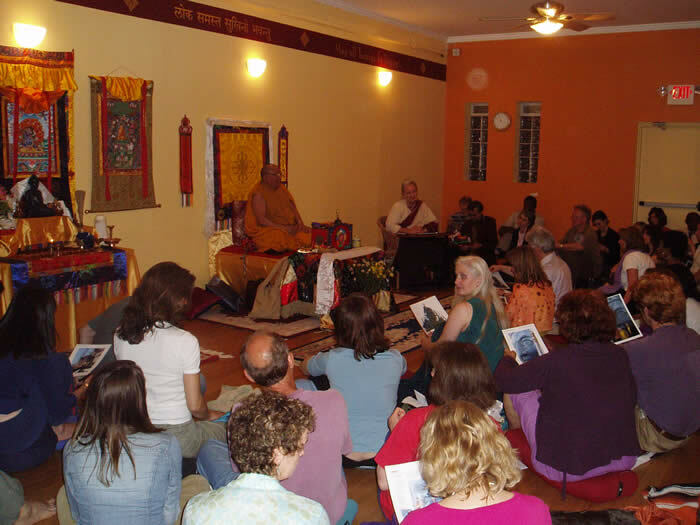 Sessions include Dharma Talks as well as Meditation Practice. John Wenz has been a student of Tibetan Buddhism, since 1986, when he first heard His Holiness the Dalai Lama speak about compassion. Since then he began combining a professional career as a Special Education Teacher, an Occupational Therapist, and a Director in a Psychiatric Hospital with Tibetan Buddhist practice. In 2009 John was able to retire; he met Yogi Lama Gursam and found his "Heart Lama". At the request of Lama Gursam, he founded and coordinates Milarepa Meditation of Highland Park, New Jersey. He teaches at Bucks County Buddhist Sangha to provide educational support and practice suggestions to assist in bringing Lama Gursam's teachings to everyday life. While continuing active personal practice, John attempts to bring the treasures of Tibetan Buddhist wisdom and compassion to modern day men and women in an understandable and clear manner based upon living experience. The flu knocked me out for a week...after my wife gave me an RT treatment I woke up the next day feeling myself again. Joni is a Jr. I Intermediate Certified Iyengar teacher who has been practicing and teaching yoga for 40 years. 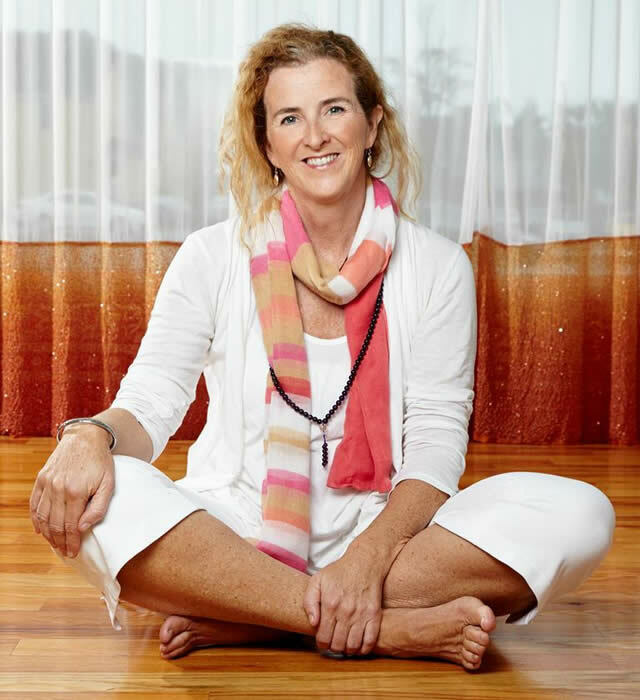 Based in Manhattan for over 20 years, Joni taught classes and Teacher Trainings at top NYC yoga studios, including four years at Jivamukti with David Life and Sharon Gannon, where she served as a bridge between Iyengar and other styles of Hatha Yoga. Prior to over two decades of Iyengar Yoga, she studied Integral, Astanga with Patabhi Jois, and took classes with Dharma Mitra. Joni is considered a teachers’ teacher, and invites yoga teachers of all styles to attend her classes. Many well known yoga teachers (like Cyndi Lee of Om) have studied with her and since opened their own yoga studios. Joni offers fun sequences, has a keen eye and amazing hands on assists to take you to the next level in your practice, from beginners to advanced yoga practitioners. She is ready to offer her expertise at Shakti, with sensitive and awesome teaching during weekly classes and workshops like Dreams and Self-Massage, in addition to special yoga topics. Joni’s Mission is to empower and inspire you to Trust your Inner Wisdom, to find the way home to your Self; to discover and fully express your Life Purpose so you can live in Abundance with Joy, Fulfillment, Generosity, and great Spiritual Adventures. Learn the basics of playing Tibetan Singing Bowls and the Tingsha. Take home key self-healing for head, tummy & feet. Hands-on Practice for all attendees. Learn the use of bowl placement and the importance of sound intervals. Covers the 1st and 2nd Protocols of treatment on clients. Using some basic Reflexology techniques with therapeutic grade essential oils, you will learn some wonderful self-healing techniques you can apply on a daily basis. What to bring? Your Beautiful Self, trimmed fingernails, a towel and pillow, clean feet, a friend if you like. 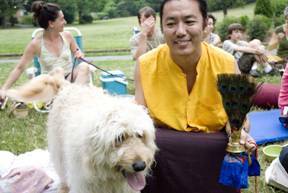 Lama Gursam blessed our animal friends in Maplewood Park on Wednesday, June 27th. We hope to be welcoming Lama Gursam back to the studio in the near future for other events. 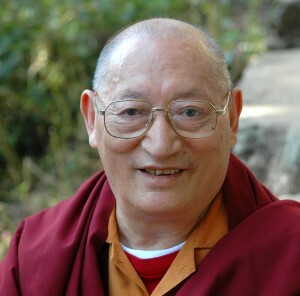 For more information about Lama Gursam and his teachings, please visit his website: www.LamaGursam.org. Animal Blessing photos are courtesy of Joanie Rosenthal. If you'd like to a copy of a photo, go to www.printroom.com/pro/joanie and click on "dog blessing gallery". Where: Maplewood Park - for more details, see below. Suggested Donation: $10, or as per your discretion. Envelopes will be provided so that you can give your donation directly to the Lama. What to Bring: Your animals! Please bring animals on a leash or in a carrying case. You can also bring a picture of your animal and bring the blessing home to them. Please also bring a folding chair, blanket, or something comfortable to sit on. 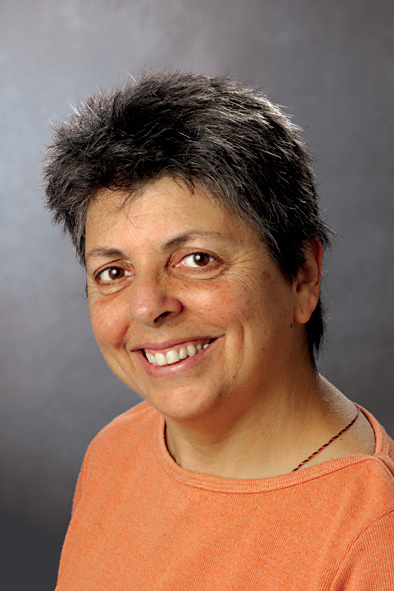 Lama Gursam will give a short Dharma Talk about animals first. Lama Gursam is developing his connection with animals, and sees more and more how they are our protectors and friends, and need to be cherished and appreciated for their Divine qualities. Lama Gursam had one small puppy attending his Dharma talks in South India, of her own will. She came when the classes started and left promptly when they ended. After the Dharma talk, the animals will come up one by one and receive their blessing from Lama Gursam. 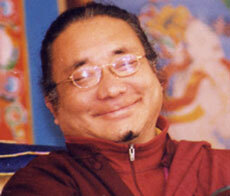 Lama Gursam received his Master's degree in Advanced Buddhist Philosopy in 1990. Upon graduation he also received a special award from His Holiness the Dalai Lama. In 1995 Lama Gursam was sent by His Holiness to the United States, where he taught Buddhist Philosophy for 5 years. In 2002 he completed a traditional 3 year retreat in the Unted States, practicing Mahamudra and the Six Yogas of Naropa. After a nationwide teaching tour, he traveled to India, Nepal and the border of Tibet, where he completed a 6 month retreat in the cave of Milarepa at Lapchi. Where in Maplewood Park: The Dharma Talk and Animal Blessing Ceremony will take place in the small grove of trees just down the hill from the Maplewood Train Station, across the small stream from the Duck Pond, just over the bridge behind the Maplewood Library. Look for the gathering of folks and animals! There will be plenty of parking at the train station, on the street near the library, and on Oakview.